D-Photo looks at interesting photographers doing interesting things – in the first of our Auckland Festival of Photography interviews artist and co-curator of the Recent Auckland Photography exhibition, Chris Corson-Scott, tells how he came to put together a group exhibition of some of the country's most talented artists. D-Photo: Can you briefly describe the Recent Auckland Photography exhibition? Chris Corson-Scott: Recent Auckland Photography is an exhibition at Northart on Auckland's North Shore which runs from May 20 to June 12, as part of the 2013 Auckland Festival of Photography. It features 12 photographic artists; a number of New Zealand's most renowned, alongside those who are mid-career or emerging. It contains a range of works from the past 15 years, with the emphasis on the recent, and includes important early work, rarely exhibited works, and new, previously unseen works. What was the impetus for putting together the group exhibition? The short answer is that the major institutions in New Zealand, for whatever reasons, haven't done something like this themselves. In my view it is embarrassing that an artist like Haruhiko Sameshima can release a visionary and groundbreaking monograph like Bold Centuries: A Photographic History Album (Rim Books, 2009), a 17-year body of work that would make an incredible exhibition, and yet to date no museum here has done it. Unfortunately the examples of this are endless: Derek Henderson's Mercy Mercer, Harvey Benge's All the Places I've Ever Known, Mark Adam's Rauru, Ian Macdonald's forest photographs and any of Bruce Connew's series and books to name just some that feature in this exhibition. All of these would make incredible large-scale solo shows that would no doubt connect with people and be a joy to see. The other side of this is that I feel contemporary photography is to some degree only begrudgingly accepted by the "art world". The condition seems to be that you have to be an artist who uses photography as an arbitrary means to other ends, without engaging in the medium itself. In practical terms the result is a lot of excruciatingly boring, deadpan, and ironic imagery of people or objects against black, white or grey backgrounds smack-bang in the centre of the frame. This is unfortunate because photographic exhibitions of the kind we are advocating, on the occasions they have been done, have been immensely popular. A perfect example is Ron Brownson's Open the Shutter: Auckland Photographers Now, which occurred 19 years ago at Auckland Museum. It is one of the inspirations behind this current show, and in fact presciently featured a number of the same now important artists at the time they were emerging. How were the artists involved in the exhibition selected? The process was simple, in that rather than going by fame, or auction prices, we simply picked artists who made images we enjoyed – work which we felt was compelling and of quality. In many cases one artist would naturally lead to another, and we tried to follow the path the show itself wanted to take, rather than impose our preconceptions upon it. Getting to know these artists, trying to understand their work and views on photography was important. The hope is that this will come through to people who have a chance to see the exhibition or the book. In short, it is in essence simply work we are excited about and want to share. How many works are displayed in the exhibition? Just over 50 works. Some are small, or what one thinks of as traditionally sized photography, while others are up to two metres and reflect the contemporary tendency for a painting-like large-scale presentation. The works explore all facets of the medium making use of digital, analog, colour, black & white, and many combinations of these processes. Do you have a favourite image from the collection? Probably 'Scene, "Westfield St Lukes Shopping Centre" (child in a Teletubbies ride), 2003' by Haruhiko Sameshima (above). It's a profound image about innocence and childhood in this commercial culture, and has a fascinating connection to the Ukiyo-e (woodcuts i.e. Hokusai), from his native Japan. Most of all he makes it look easy, and despite the subject the image has a smile on its face. What do you hope viewers will take away from Recent Auckland Photography? The thing I like most about photography is that if it's good, and you're open to it - to spending time with an image beyond a glance where you merely recognise the subject - photography can make you see more of the world. It can show us that perhaps beauty is more common around us than we thought. Alternatively it can also show us the ugliness we ignored. Either way, what we do with the surface of the planet says a lot about us, and for that reason if no other, photography which has intent beyond pretty decoration has a lot to say at this moment. Can you tell us a bit about the book? The book is called PicturesThey Want to Make: Recent Auckland Photography and it is an extension of the exhibition with further background, more works, and texts on each artist. It is written by myself and Edward Hanfling, an art historian whose previous publications include 240 Years of New Zealand Painting (Bateman, 2012) and Mrkusich: The Art of Transformation (Auckland University Press, 2009). Ron Brownson (Senior Curator Auckland Art Gallery) has contributed a bold and entertaining foreword. It's a 176-page hardcover, with just over 100 colour reproductions, and is published by PhotoForum who are amazing, and rare, in that they allowed us to make exactly what we wanted to. We will have very limited copies available at the exhibition opening on May 19 at 5pm and then it will be in bookstores from June onwards. Thank you for taking the time to talk about our exhibition and publication. I hope that readers will make it along to see the show while it is on, and perhaps check out the book when it is out. 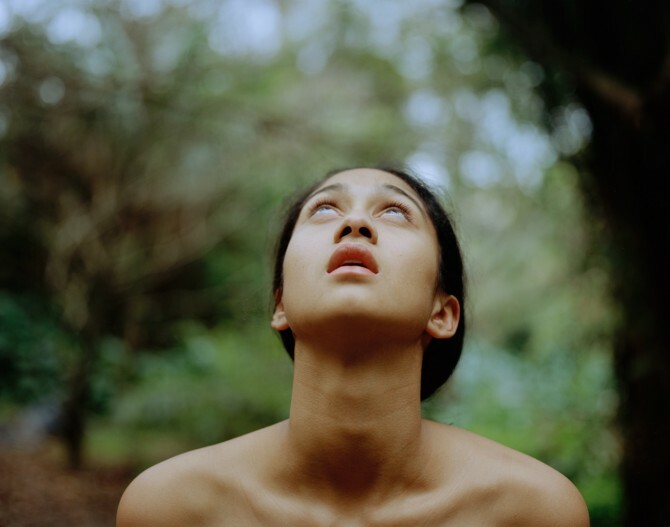 Recent Auckland Photography opens on May 19 at 5pm at NorthArt in Northcote and runs until June 12 as part of this year's Auckland Festival of Photography.